Maintain Inventory compulsory or not? | क्‍या जी.एस.टी. के लिए इन्‍वेन्‍टरी मैन्‍टेंन करना जरूरी है? क्‍या जी.एस.टी. के लिए इन्‍वेन्‍टरी मैन्‍टेंन करना जरूरी है? Is compulsory to maintain inventory for GST? Yes, It is. However government not asked inventory details for every transaction or transaction wise in GSTR-1 and GSTR-2 but government asked Total inventory details for related month Total sales HSN Wise Item including item name, Quantity, item unit, item value etc. 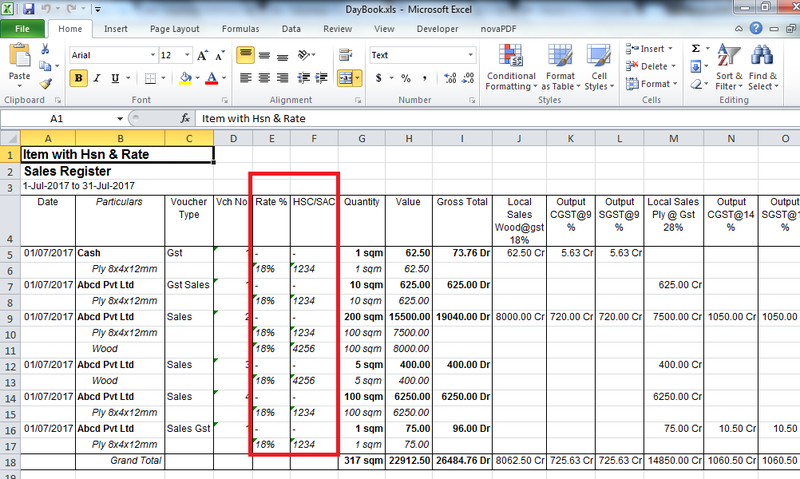 As you know government asked sales inventory details in GSTR-1 and purchase inventory details in GSTR-2. So government have all details of your sales and purchase with item Quantity So Government can easily trace your firm position. So, to fill correct details of inventory we need to maintain inventory details. You can maintain inventory by using any accounting software or you can maintain inventory manually. To maintain inventory by accounting software I think "Tally.ERP 9" is best software. If you want to maintain inventory manually then i will suggest maintain in "EXCEL" not physical register due to easiness of correction.